Imagine how much they'll receive if they win. 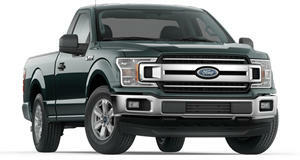 Ford’s lineup of F-Series pickup trucks are its crown jewels, its biggest money makers. Last year alone, F-Series sales generated around $42 billion in revenue. 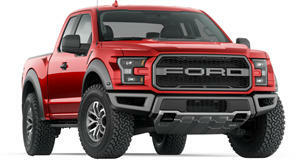 Ford sold roughly two trucks every minute, according to its PR department. Aside from the trucks’ durability and seemingly endless configurations, another strong selling point are the fuel-efficient EcoBoost engines. This is now causing Ford some legal issues. According to Bloomberg, three Massachusetts Institute of Technology professors are suing Ford because they claim they’re the ones who invented and patented the fuel-efficient EcoBoost tech. They claimed in their lawsuit, filed late last month, that they patented dual port- and direct-injection technology, which has been added to those engines without the professors’ permission. Ford and MIT actually began a joint energy research collaboration back in 2007 with a specific focus on powertrain, fuel, and energy technologies. There was also a separate MIT Energy Initiative that teamed Ford up with some of the university’s best researchers. Everything seemed to be going well until 2015. The lawsuit claims Ford referred to the professors as little more than "greedy inventors” and it outright refused to negotiate exclusive rights to license certain patents. Professors Leslie Bromberg, Daniel R. Cohn, and John B. Heywood have been working on internal combustion engine improvements for decades, and their research, according to them, resulted in the aforementioned technologies. However, the professors transferred ownership of their patents to MIT, which in turn gave exclusive patent-licensing rights to a company the three founded, called Ethanol Boosting Systems. EBS then offered to license the patents to Ford in 2014, but the automaker refused. There was then some back and forth meetings between EBS and Ford about patent licensing opportunities but no agreement was made. In November 2015, Ford told EBS it was no longer interested in licensing the patents. Today, 60 percent of F-150s have EcoBoost engines and given how much money Ford makes, it’s no wonder these professors want their cut. Assuming this goes to court, a judge will need to decide whether these professors’ patent is the same technology Ford used in its engines.